In Jean de Brunhoff’s 1931 children’s book, The Story of Babar, a young African elephant sees his mother shot by a hunter; he runs off, not deeper into the jungle, but (somehow) to Paris. There, he is taken in by a kindly and rich old woman, and learns the pleasures and virtues of urban civilization before eventually becoming homesick and returning to Africa, where he becomes King of the Elephants and helps his subjects adopt an improved lifestyle based largely on human ways. It is a delightful and amusingly surreal story that can be read to children as often as they like. They will learn the horrible truth soon enough. It is by now old news that blogging has forever changed the nature of how information is generated and consumed, but the full ramifications of this change continue to play themselves out all around us today — and will go on doing so for some time yet. The latest area to be transformed is the global war for public opinion over the issue of climate change. As my co-blogger Jeet Heer argues in a fascinating piece in this weekend’s Globe and Mail (“Climategate’s guerrilla warriors: pesky foes or careful watchdogs?“), climate change skeptics have found their greatest influence to lie not in peer reviewed journals or congressional hearings but in blogs written by passionate amateurs — sometimes highly intelligent ones — who are determined to subject even the smallest component of the international climate change assessment process to scrutiny and, once in a while, disproof. This uncertainty, of course, has spawned endless scientific and political debate about the existence and nature of climate change. But Wohlforth wisely points out that though we can’t create models that eliminate (or even reduce) the number of uncertainties, we can at least choose to “rank important certainties above trivial unknowns.” After all, we do understand the dynamics of the mechanism that causes global warming, and we do understand the importance of greenhouse gases as a determinant of our planet’s temperature, an importance second only to the sun. The global climate is like a massive machine with banks of labeled dials. We can’t know for sure what the machine will produce when all the dials are turned in different directions, but we do know that we’re deliberately cranking the second-biggest dial — the one labeled “atmospheric CO2 content” — far beyond any previous setting. And in doing so, we’re performing an irreversible experiment with the only planet we’ve got. 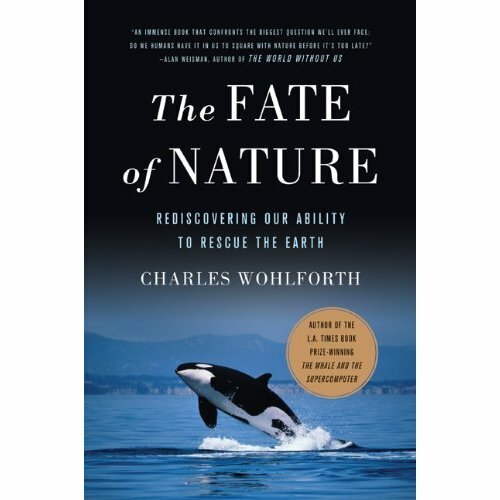 The Fate of Nature can of course be pre-ordered on Amazon. If I end up reviewing it for one of the tree-based papers, I’ll be sure to let you know. There is something about the far north that photography finds deeply compatible — something, perhaps, in its minimalism, its starkness of contrasts between sea and ice, its naked ruggedness. Canadian photographer David Burdeny (I briefly wrote about him here) captures its spirit very effectively in majestic tones of grey and blue, but Kevin Cooley of Brooklyn, New York, has managed to uncover a surprising and beautiful vein of light and colour in the lands between ourselves and the pole. A “photo and video artist” who works with a range of major magazines and book publishers, Cooley’s fine art often focuses on lonely images of people or, more enigmatically, of arcs of light in the midst of forbiddingly indifferent landscapes (see his 2008 collection “light’s edge“). 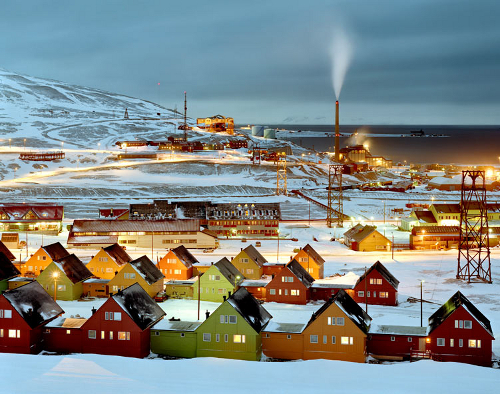 But I’m personally even more attracted to his 2006 “svalbard” series, which capture the unique and subtle interplay of colours seen in the first light of morning — after four months of darkness — in Norway’s Longyearbyen, the northernmost town in the world. There is a kind of long-term shock that comes with the realization that the landscape around one’s own home is being altered beyond recovery. Psychologically, after all, a landscape is a permanent thing — hills and forests and paths are unchanging things to a child, and even when one moves away in adulthood they are assumed to remain protected, inviolate. Increasingly, of course, this assumption is wrong: the relentless spread of housing developments, roads, and shopping centres means that many people in the industrialized world face a high probability of losing the landscapes they remember as children. To some extent the shock lies in the simple unexpectedness of the change. Here is a paper I contributed to the Carnegie Council’s journal Policy Innovations following a Sophia University conference on migration. Japan’s population is on a downward slope, a trend which causes analysts no small amount of concern. 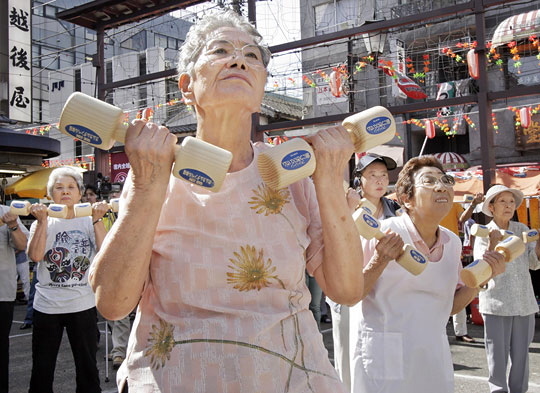 As the Japanese government warned in a report a few years ago, “The speed with which the birth rate is falling is creating a situation that undermines the very foundations of society, the economy and the sustainability of local communities.” From its current population of more than 127 million, and extrapolating from current trends, the country may shrink to 100 or 90 million people by 2050. Do People Have a Right to Move Across National Borders? This was the question explored at a recent interdisciplinary conference in Tokyo, jointly sponsored by Sophia University and the Carnegie Council for Ethics in International Affairs, where I was lucky enough to be a panelist. After the conference, James Farrer of Sophia University and Devin T. Stewart of the Carnegie Council prepared an excellent summary of what we discussed. Here it is – recommended reading for anyone interested in immigration or refugee issues. The goal of declaring a “right to move” proved elusive at a two-day symposium onimmigration ethics at Sophia University in Tokyo, held in cooperation with the Carnegie Council for Ethics in International Affairs (Dec. 12–13, 2009). 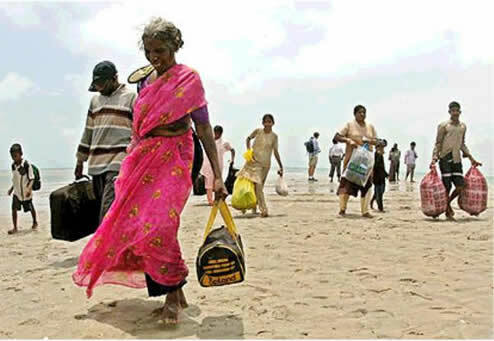 While many of the participants, and certainly both of us, started out with the hope of issuing a strong declaration on the rights of people to move across national borders, several obstacles emerged. Given that the conference was held in Tokyo, the Japanese immigration context also framed the debate.